From the first race 20 years ago and every year since, we’ve supported the Race Against Racism event sponsored by YWCA Lancaster. With its focus on eliminating racism and empowering women, this important event is near and dear to our hearts. 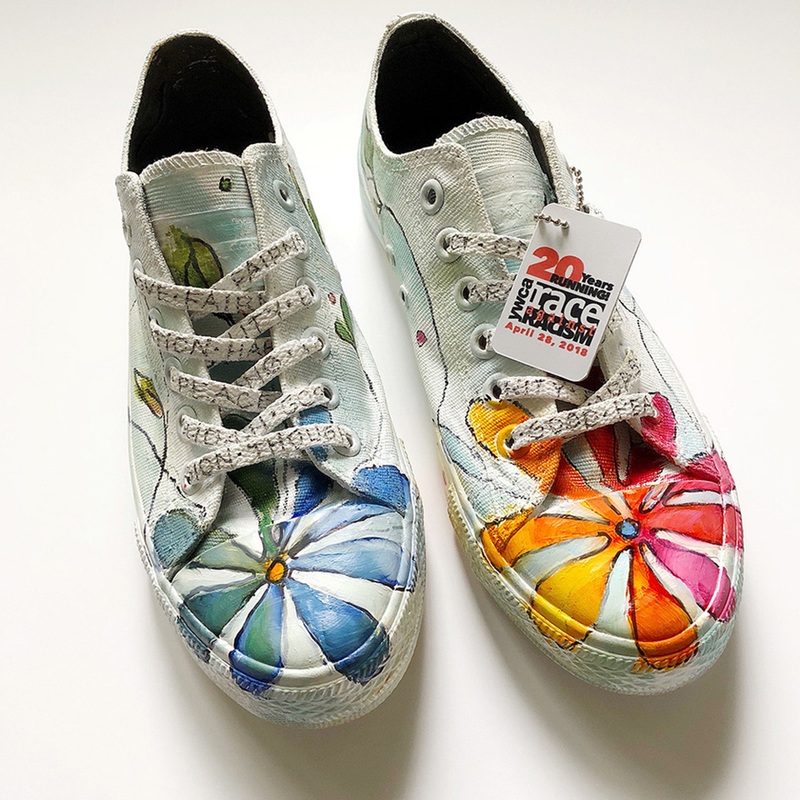 This year, to mark the 20th anniversary of the race, the YWCA invited 20 local artists to transform a pair of Converse sneakers into art. And Kim Smith, our very own art director, was one of the local artists selected. It was a perfect project combining her love of painting and design with a great cause. All 20 sneakers will be on display at the YWCA Lancaster and also at the Race Against Racism on Saturday, April 28. If you are in the area come out and support the YWCA Lancaster!